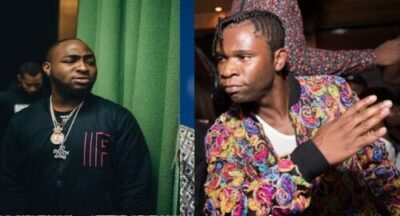 Instagram rap sensation, Speed darlington has slams Davido over him always coming online to brag about his father’s wealth. Speedy took to Instagram and shared his throwback photo with his daddy. Check out what he wrote below.